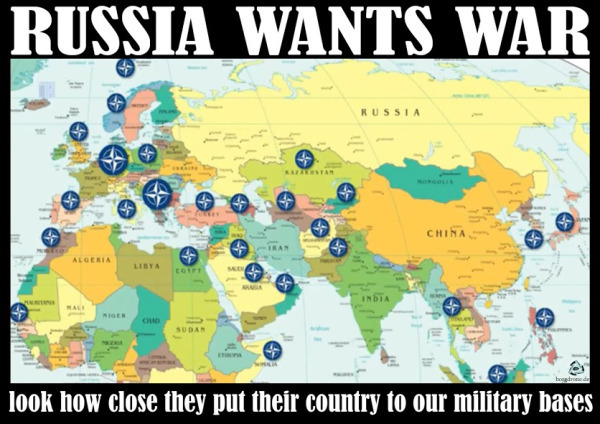 ← You want to wage war against Russia ? Don’t get your gun, get your coat. That’s very important. Those driving the Russian vehicles on the satellite images could pretty well be Ukrainian military. Probably they are. Don’t remember Gleiwitz? The Germans wearing Polish uniforms? The beginning of WWII ? August 31, 1939 , it was the false flag operation. The day after, September 1st, Adolf Hitler invaded Poland..
On September first, 1939, Adolf Hitler invaded Poland. WWII began. Rasmussen is probably dreaming of WWIII. We should all be reminded that the Polish Army had essentially cavalry horses to oppose the nazis tanks. Russia has shown incredible restraint until now, obviously doesn’t need and doesn’t want war, but have nuclear weapons, like Us and Nato, the masters of the present Kiev regime. Is there a shrink in the room ? It’s URGENT . Caricature : LA RUSSIE VEUT LA GUERRE ! Vous voyez bien qu’ils placent leur territoire de plus en plus proche de nos bases .. This entry was posted in No category and tagged false flag, Gleiwitz, Nato, Otan, Russia, Russie, Ukraine, WWII, WWIII. Bookmark the permalink. 6 Responses to Ukraine and Nato using the same kind of false flag that the Nazis used in August 1939 ? It started WWII ..